Check out Roy's appearance on "What's Cooking Today" on CRN Digital Talk Radio! 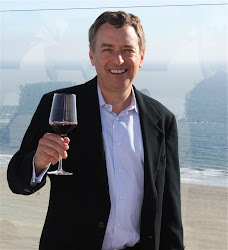 Roy Newman of Private Wine Counsel appears in studio to discover Erik Hines wine "taste profile". My Visit to Kenzo Estate. 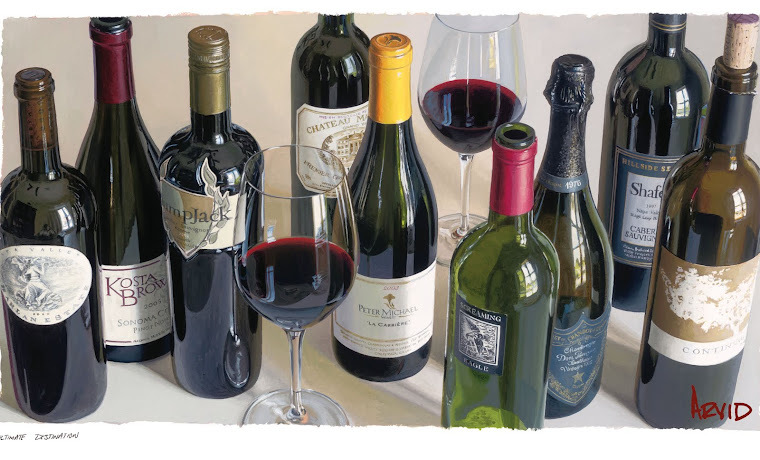 California Wine Country is loaded with wineries founded by people who have made money, and usually lots of it, in other industries and have sought to pursue their passion in wine with their particular take and vision. One of the newest such wineries is Kenzo Estate. Owned by billionaire, Kenzo Tsujimoto, Kenzo Estate seeks to set the already very high bar of elite wineries in the Napa Valley a few rungs higher. Kenzo made his fortune in the video game industry as owner of Capcom, Inc. You may know some of his games: Street Fighter, Resident Evil, Monster Hunter and Lost Planet. During my tour, a few wide-eyed moms claimed to have contributed to a wing or two of the winery. Kenzo purchased a jaw-dropping 4000 acres in Napa in 1990. Let me repeat, he purchased 4000 acres in Napa Valley. For reference sake, that’s the equivalent land size of FIVE New York’s Central Parks in one of the most expensive farming areas in the World. From the minute you arrive at the front gate, the concept is made plain to the visitor, no expense was spared in creating this winery. By the time you make the shockingly long drive from the front gate to the winery, you begin to understand how he could have spent 100 million dollars on the property. Let me repeat, $100 million. You also begin to realize that you’ve arrived at a special place. To quote Fitzgerald, "Let me tell you about the very rich. They are different from you and me." As we arrived at the beautiful winery, we were greeted by our very gracious hostess and immediately introduced to Mr. and Mrs. Kenzo and their helicopter pilot who politely excused himself after dropping the couple at the Estate. The very rich are different. But, though I appreciate F. Scott’s perspective, I have always preferred Henry Ford’s observation that money does not change people, rather it unmasks them. So, I was here to see why and what Kenzo Estate meant to the landscape of California wine. I was immediately drawn to Kenzo’s national origin. After all, haven’t we been lead to believe that most Asian countries believe that the wines of importance are made in France? Why would a Japanese billionaire make such a huge investment in Napa? 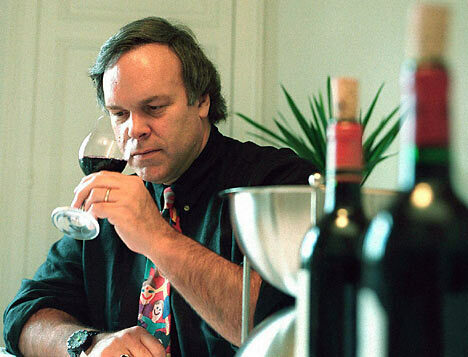 Perhaps, it is because he believes that this region is on par with any other wine making region in the World. Or perhaps it was because Capcom’s US headquarters are in San Francisco, so near to Napa Valley. In any event, this type of high profile winery can only help elevate the status of California wine in Japan. Like a player of one of Kenzo’s video games, at this Estate we must graduate through various levels of intrigue and difficulty to achieve success. Kenzo's Japanese heritage is woven into the various elements of the winery. Although the architecture is modern there are elements of California, Japan, and Napa present in all that the winery does. The structure incorporates beautiful stones, woods, and glass elements. The 20,000 square foot barrel room alone is worth the visit. Although the property makes a statement that would make an American proud, it also bows in humility, grace and taste. Kenzo spared no expense in assembling his team. Winemaker Heidi Barrett brings her long-storied resume to the project. Surprisingly, she has a unique perspective on the land: she used to ride horses here when she was a girl. David Abreu, long considered the premier viticulturist in Napa (Harlan Estate, Araujo Estate Wines, Colgin Cellars, Screaming Eagle, and many other “A” list wineries) found a way to grow quality grapes at this site when others failed, namely by digging up four feet of earth to develop consistent soil. Thomas Keller, a long time friend of Kenzo, has pitched in with an on-site Bouchon serving a wonderful menu of sandwiches with the wine tasting ($75 for lunch and 4 wines). The line up of wines is formidable and likely destined for greatness. All of the wines have been given Japanese names which reflect the wines colors and characteristics. Asatsuyu, meaning “Morning Dew” (2008) is the Estate’s only white wine (and the only white made anywhere by Heidi Barrett). It’s a lovely Sauvignon Blanc. Only 800 cases are bottled. The wine is made in the French style and presents a full mouth feel with rounded and rich fruit. The wine avoids the predominately grassy feature found in many California Sauvignon Blancs and instead opts for lushness and subtle flavors. (91 points). The flagship wine is called Rindo, meaning "Bell Flower". This (2006 ) is an immediately accessible Bordeaux style blend of equal parts Cabernet Sauvignon, Cabernet Franc and Merlot. Many of my visiting group of 8 picked it as their favorite. (91 points). The preferred blend of Mr. Kenzo is the Murasaki (2006), which means “purple” in Japanese. Evidently the Japanese have several words to describe the color purple. It must be an important color in Japan. 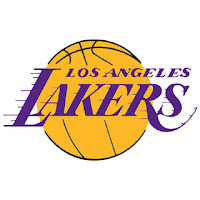 (I wondered whether many Japanese are Lakers fans? I mean the Lakers’ colors are purple and gold and their best player is named Kobe!) This wine is a nod to the right bank of Bordeaux with 52% Cabernet Sauvignon and significant amounts of Merlot, Cabernet Franc and Petite Verdot. This wine displays an intense and significant red fruit palate. However, the young tannins are blocking the long term potential of this wine at the moment. (92 points). My favorite was “Ai” which means “Indigo” in Japanese. 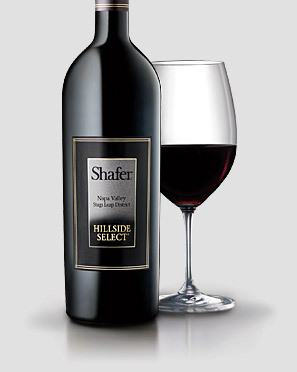 This powerhouse wine (2006) is 92% Cabernet and a cinch to improve dramatically with 5 to 7 years in the cellar. The fruit here is intense and nuanced. It sings from the glass through to a long, satisfying finish. Unfortunately, at $150 a bottle, this wine is very expensive (92 points). No detail here is overlooked or under appreciated. 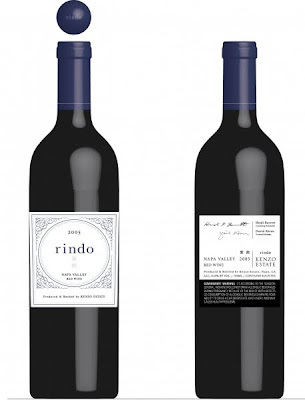 The wine labels are attractive and elegant and, interestingly enough, were designed by the Benetton Family, the more traditional one by the elder generation and the more modern by the next generation. The roll out of the wines has been methodical. The inaugural vintage, 2005, was shipped in its entirety to Japan. In fact, Kenzo maintains a tasting room in Tokyo that sounds like it would be worth a visit should you find yourself in the capitol of Japan. The 2006 in red and 2008 in white is the first vintage available in the U.S.
Only 70 acres of this massive Estate are planted to vineyards but there will be expansion. 30 more acres of vineyards are immediately planned for vineyards and a 15-bedroom guest house is scheduled to be built. If you ever wondered what it would be like to build a winery where money was no object, then Kenzo is a must see. But beyond the awesome display of design and investment lies a heart of passion for wine and this region. Although the very rich may be different, they may also be the same but just demonstrate it with more money. As they toast in Japan, Kampai!